October 6, 2016 by The Junkie 0 comments on "4 Best Bulgarian Textbooks – A List For Beginners"
Looking for Bulgarian textbooks? That’s good! They’re a safe way to learn. Bulgarian textbooks gives you structure – a path, from Page 1 to 200. You learn alphabet, grammar, writing, reading and everything that you can’t learn from online articles. I know you’ve read enough already. Are textbooks the answer to being fluent? No. But they’re a strong, reliable start to learning Bulgarian. Here’s a list of 4 best Bulgarian textbooks for beginners. Please share this if you find it useful! All books have links so click on them to learn more at Amazon. Links are my Amazon affiliate links. Why’s this book good? It’s a gentle introduction to Bulgarian for TOTAL beginners. Think of this book as a “first step.” Through 12 chapters, (98 pages) you’re guided through the culture, vocabulary, important grammar rules and teaches you “Survival” phrases. There are also pronunciation guides, spelling guides and listening activities. Yes, it’s too “simple” and “easy” of a book but that’s exactly why I like it. I like phrasebooks for a reason. The more phrases and words you know, the more Bulgarian you speak. This is why this one made my list. 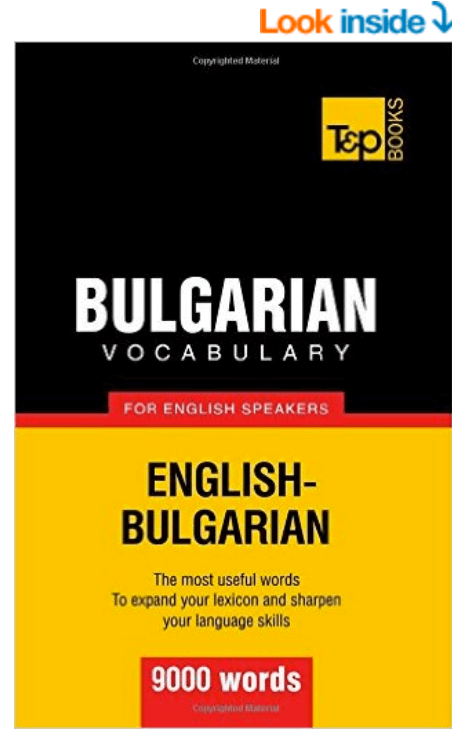 It’s a 192 page phrasebook filled with everything you need to speak Bulgarian at the daily level – shopping, customs, ordering food, restaurants, having basic conversations and traveling. Not much grammar, just tons of phrases to get you speaking now. 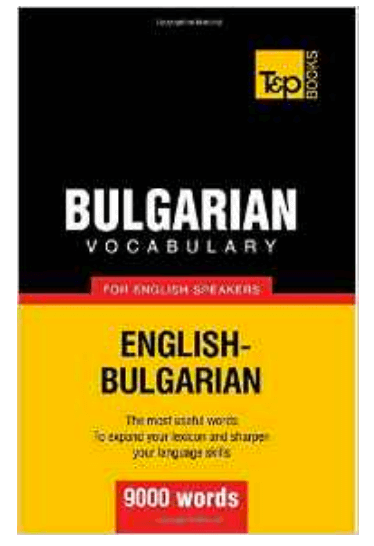 Okay, if you were looking for the big, bad Bulgarian textbook that WILL teach you a ton – this is it. I recommend this for motivated Bulgarian learners who don’t let good books lie around. It’s that good. A whopping 24 chapters – 336 pages. You learn through real-life conversations and slowly build up your grammar. Very easy to follow and very well organized. Covers speaking, reading and writing. I’d use it as my main book. Language experts “claim” you need about 1,500 words for fluency. So, this book is worth it’s weight in gold… if not more. But it’s true. Your range of vocabulary is directly related to your fluency (how well/comfortably you can express yourself). Through 268 pages, you’ll find the words split into categories. Some Important Notes: You must know Cyrillic, this isn’t a grammar textbook. This is purely for learning words. By the way, I also do recommend BulgarianPod101.com (click here) for their Audio and Video Lessons. 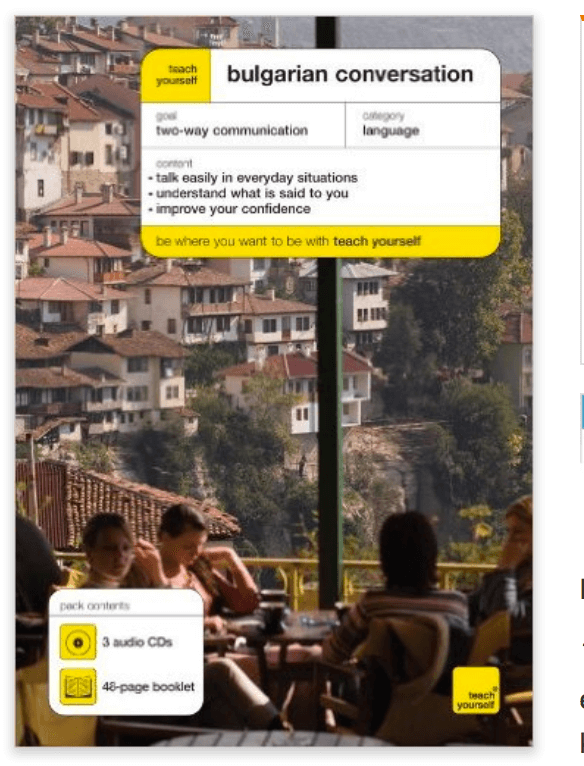 Yes, it’s no textbook, but it’s a nice, comprehensive online course for speaking, listening and mastering Bulgarian conversation. That site would be a perfect supplement with whatever textbooks or dictionary you’re using. Check it out and decide on your own. Do you have any best Bulgarian books or textbooks that you swear by and recommend? Please leave me a comment. I read them all. I’ll add more as I go along. P.S. I highly recommend this for Bulgarian learners. If you REALLY want to learn to Bulgarian with 500+ Audio & Video courses by Bulgarian teachers – Sign up for free at BulgarianPod101.com (click here) and start learning! Very nice learning system.